ISO 21500 in de praktijk. De interne richtlijn voor projectmanagement geschreven door Anton Zandhuis, André Legerman en Rommert Stellingwerf beschrijft in het kort de structuur van de richtlijn inclusief een overzicht van de projectmanagement processen naar proces- en themagroepen en de procesgroep interacties met de belangrijkste input en output. Maar dat is niet het hoofdonderwerp. Dit boek schetst de achtergronden, het belang en de toepassing van ISO 21500. Kort samengevat wat moeten we met deze richtlijn. Het boek neemt ons mee in de aanleiding voor de standaard. In 2016 word c.a. €22 triljard geïnvesteerd, waarvan veel middels projecten. Alleen al binnen de ICT zijn er een kleine 20 projectmanagement methoden. De ISO 21500 biedt één wereldwijde norm en taal waardoor onderlinge afstemming tussen projecten, ook al gebruiken ze ieder een eigen methode, mogelijk wordt. De basis ligt bij bronnen zoals de ANSI norm (gebaseerd op de PMBoK 3de editie), ICB 3, PRINCE2, en een aantal ISO, DIN en BSI normen. De ISO 21500 is een informatieve norm, een richtlijn en geen normatieve norm en daardoor dus niet bedoeld of geschikt voor certificatiedoeleinden. Daarnaast wordt ingegaan op het algemeen belang en het belang voor organisaties van de norm en meer specifiek voor rollen binnen een organisatie (management, stuurgroep, opdrachtgever, opdrachtnemer, projectmanager, projectadviseur (PMO), projectteam, programmamanager, portfoliomanager en kwaliteitsmanager. We krijgen een tien stappen plan en een aantal hints en tips om zelf ISO 21500 te implementeren en een bijbehorend fictief praktijkvoorbeeld. Het boek wordt afgesloten met een toekomstverwachting van ISO 21500, een doorontwikkeling naar een familie van richtlijnen en een honderdtal vragen en antwoorden over ISO 21500. Conclusie:Een informatief boekje over het waarom van ISO 21500. Het implementatieplan vraagt echter nog wel wat nadere uitwerking. In the middle of the quick reference card you find a generic model with portfolio, programme and project management as horizontal boxes. Behind these boxes you will find vertical boxes with PMO, IT, benefits management, value management and risk management to support project, programme and portfolio management. And as the background I used two triangles representing the people and maturity of project, programme and portfolio management. From this model I made connections with several well-known organizations that develop and own standards. E.g. Axelos as the owner of PRINCE2, MSP, MoP, MoV, MoR, P3M3 and ITIL or PMI as the owner of PMBoK, The standard for Portfolio Management, The standard for Programme Management, OPM3, etc. You will also find AMPG, APM, IPMA and several suppliers of Agile/Scrum as well as some ISO models. In the Dutch article, I focus on the usage of these standards. It’s not that simple that you only have to select a project management method. Je must be aware that it will not be possible to implement all your ideas and ambitions. You have to select the right initiatives. This will ask for a portfolio management method. To realize your strategic objectives, you need more than only projects. You will run programmes too, asking for a programme management method. Besides temporary project and programme offices you probably need a permanent portfolio office as well as a centre of excellence to communicate, support and train staff to use these standards and best practices. At a certain moment you want to know were you are from a maturity view, in comparison with others, and based on your own ambition you would like to know the gap you have to bridge. It will be beneficial for an organization if all these models or frameworks are connected to each other. As a rule of thumb, I would advice an organization to choose for either Axelos or PMI as the starting point and combine your choice with the competence baseline from IPMA. If you choose e.g. for PRINCE2, it makes sense to choose for MSP and MoP for your programme and portfolio management. For maturity scans you look at P3M3 because that’s in line with these standards. Your temporary and permanent PMO will be supported by P3O, etc. 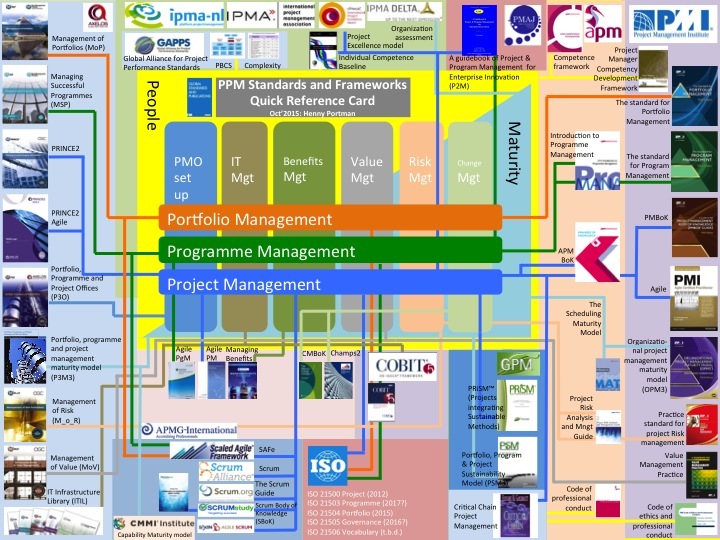 For supplementary techniques you could make use of the PMBoK from PMI. Or, when you started with the PMI family, it makes sense to combine this with the project or programme board approaches from PRINCE2 and MSP and the usage of business cases as described in PRINCE2 I am one of the authors of the book Global standards and publications, edition 2014/2015, Van Haren Publishing. You can download a free copy of this book. http://www.vanharen.net/file/PDF/9789401800068.pdf Please let me know if you are aware of new standards that are worthwhile to mention in this QRC. I received from Van Haren Publishing the book ISO 21500 in Practice – A management guide. The book is a revision of the Dutch publication and offers a bit more information than the original Dutch version. This book gives you background and explains the process that led to the creation of this standard. 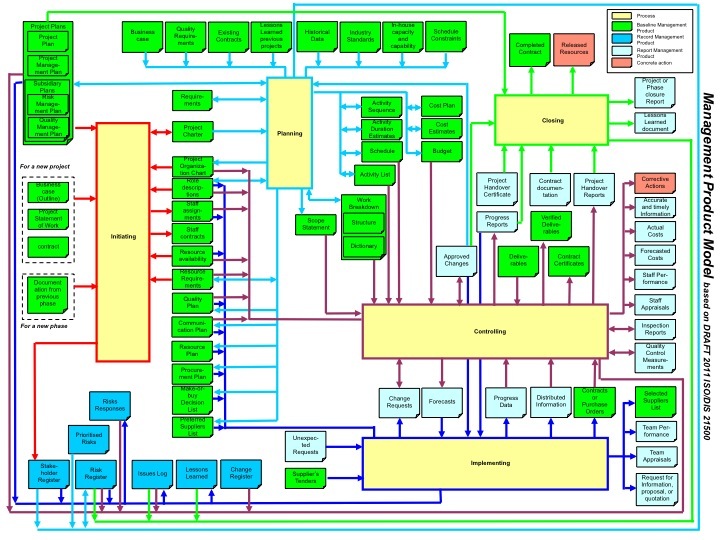 It briefly summarized the ISO 21500 structure and content. 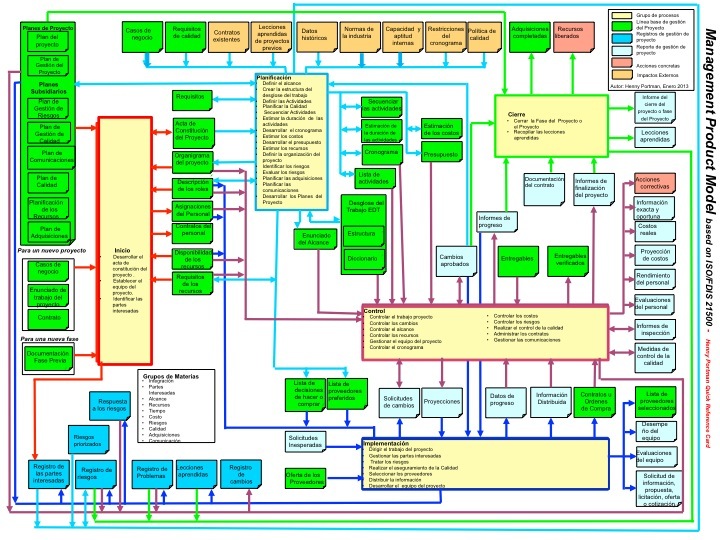 It emphasizes the value of ISO 21500 looking at specific roles in the organization and its project environment and it positions this standard within the overall landscape of ISO standards and project management techniques, models and best practices. Two chapters will help you to implement ISO 21500 in your organization and to apply it to your projects. 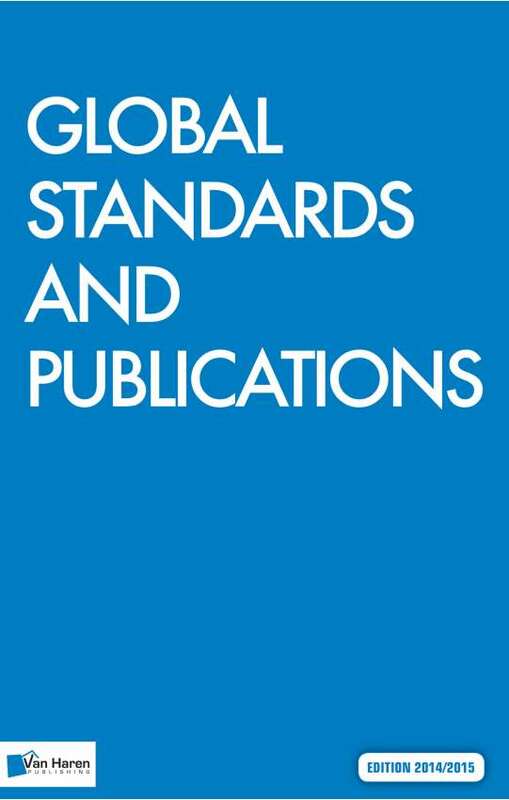 The last chapters give insight in the expected future developments of the ISO standards in the domain of project, program and portfolio management and the impact on other standards and guides on project management. You get answers on many questions that the authors themselves had wondered about in relation to the ISO 21500 and in the annexes you can find information about the ISO organization. In my opinion this book will help you to understand the ISO 21500 and it’s position. It’s a first step towards an overarching standard for the management of projects. ISO 21500 has been written as a guideline and it has not been specifically designed for, nor is it suitable for certification purposes. It explains what should be done and not how things should be done (“ISO 21500 is a global common reference framework for project management within which everyone is entitled to use his own method or approach” – page 36). For me this opens the discussion if you can implement ISO 21500 or that you have to implement a standard, which is compliant with ISO 21500? 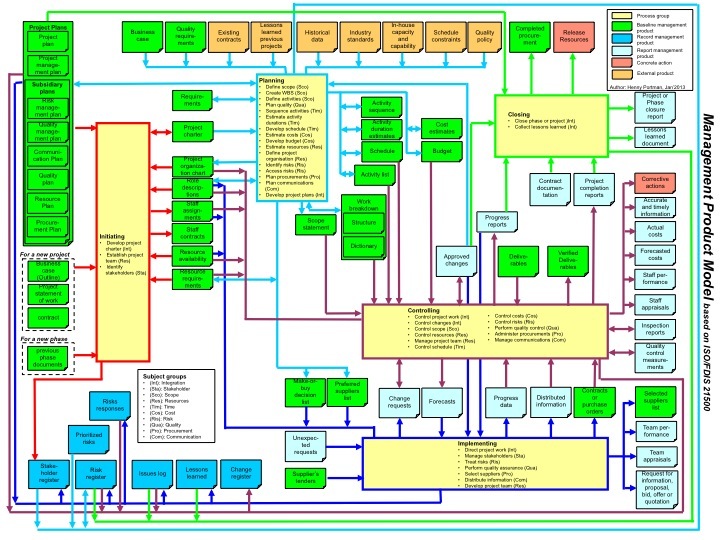 Look at the case the authors describe to apply ISO 21500 to projects. 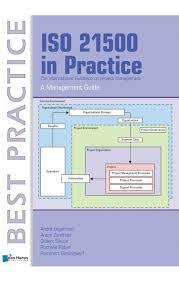 Best practices are lacking and have to be taken from the PMBoK and PRINCE2. Maybe the next version of ISO 21500 will have a more prescriptive character and hopefully Axelos (owner of PRINCE2) is involved and Agile project management principles are incorporated too. One and a half year ago I published a blog about ISO 21500 – Guidance on project management. I presented an input/output model of the ISO 21500 standard. At that moment the standard was just a draft. Now the ISO 21500 standard has been approved, I reviewed my previous model and updated the model according to the approved standard. I added the process management processes including references to the subject groups. Feel free to comment, or suggest improvements. I just received from Juan Verastegui, a Project control manager in Peru a Spanish translation of this ISO21500 QRC. See enclosed picture. Last Thursday, June 7, I visit an information session regarding this new ISO 21500 standard. This standard provides generic guidance on the concept and processes of project management that are important for and have impact on the achievement of projects. You can find this standard (http://www.normontwerpen.nen.nl/Home/Details/104). In this guidance on project management you will find 40 processes cross-referenced to Process (Initiating, Planning, Implementing, Controlling, Closing) and Subject Groups (Integration, Stakeholder, Scope, Resource, Time, Cost, Risk, Quality, Procurement, Communication). – Be used in any way for certification or regulatory purposes. This means this standard will not replace PRINCE2 or PMBoK or other standards, but it provides overarching guidance for project management. – Not all deliverables/products are output of a process. Sometimes this is correct, when the deliverable is coming from the outside world. But this is not always the case (e.g. Deliverables, Business Case are only used as input and not created or updated by one of the processes). 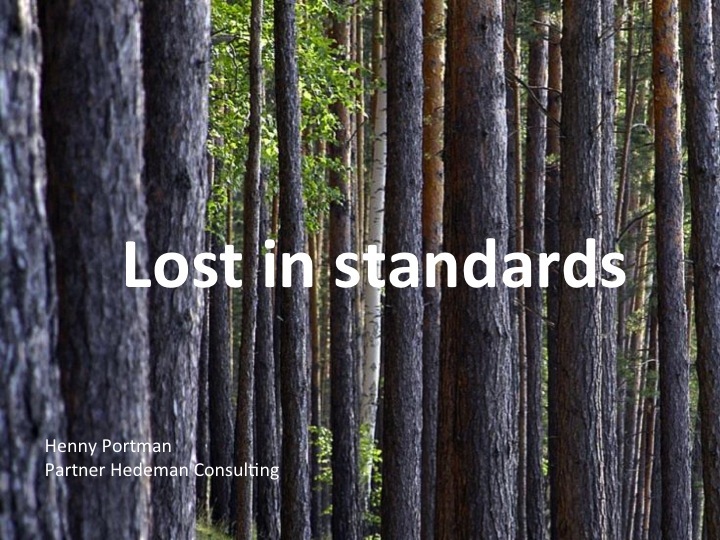 Does this mean that this standard is not based on a continuous business justification? – The focus is on the Project manager. I miss the focuss of the executive (or Sponsor as it’s called here). For me senior management is key in the success of a project. Project governance needs more attention in this guideline as well as a specific process like we have in PRINCE2 (Directing a Project). – Some output is rather detailed. Not sure if this is needed. Look e.g. at all deliverables related to activities (sequence, duration estimates, list, work breakdown). For me, this focus on activities in this guideline is a step backwards. I don’t believe in communication about activities. For me the focus must be products or deliverables. Why not have a Product Breakdown structure to communicate the scope, the measure progress against? – Look at deliverables related to Risk. Keep it simple and use the Risk Register as on deliverable to be created, used and updated by the processes. – Why are Staff Performance and Staff appraisals outputs from the process Controlling and Why are Team Performance and Team appraisals outputs from the process Implementing. – We have Registers and Logs. In PRINCE2 terms Registers are forma land Logs are informal. Probably you will find more questions if you give this map a closer look. On the other hand I think it’s a good idea to create a sort of common language regarding Project Management. This will help to bridge the gap between organizations or groups using different project management methodologies. At this moment it’s still a draft, which needs some improvement especially in the areas of the Business Case, Project Governance and the Product Breakdown structure. We also need to simplify this map to make communication easier. I am looking forward to reactions.